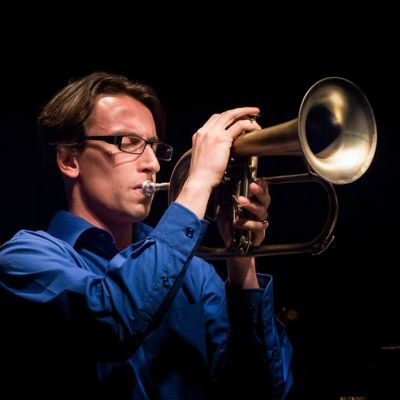 Calgary based trumpeter André Wickenheiser began his musical studies at Mount Royal University where he completed an Artist Diploma in jazz performance. From there, he went on to finish both a Bachelors Degree, and Masters Degree in jazz performance at McGill University in Montreal. During this time, he was fortunate to learn from some of the best musicians in North America including Bob Day, Al Muirhead, Jim Brenan, Ralf Buschmeyer, Kevin Dean, Jan Jarczyk, Joe Sullivan, Andre White, Gordon Foote, Christine Jensen, Chet Doxas, Remi Bolduc, Ron Di Lauro, Chris McCann, and Bill Mahar. André has performed with internationally renowned artists including Pete Christlieb, Joe Labarbera, Brad Turner, Frank Mantooth, PJ Perry, Alain Caron, Tommy Banks, Jens Lindemann, Allen Vizzutti, Eli Bennett, and James Zollar.